Hard to believe, the world's smartest cartoon character, Bugs Bunny, turns 73 years young today. 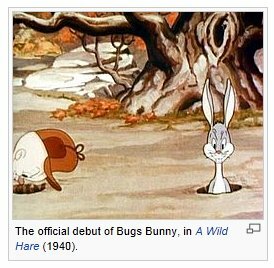 Bugs was born with the release of cartoon short, "A Wild Hare," directed by Tex Avery, on July 27, 1940. 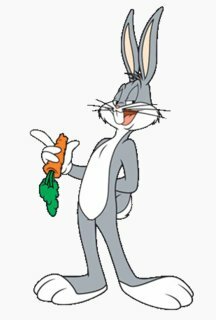 According to the publication "Bugs Bunny: 50 Years and Only One Grey Hare," Bugs was born in Brooklyn, New York, in a warren under Ebbets Field, home of the Brooklyn Dodgers. 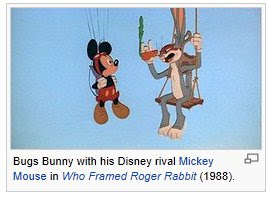 Actually, he was created by many animators and staff, including Tex Avery. 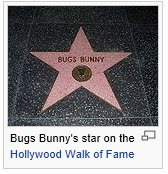 According to the late Mel Blanc, the character's original voice actor, Bugs has a Flatbush accent. A Wild Hare, is the first cartoon where both Elmer Fudd and Bugs are shown in their fully developed forms as hunter and tormentor. In this cartoon Mel Blanc first uses what would become Bugs' standard voice; this cartoon also marks the first time that Bugs uses his catchphrase, "What's up, Doc?" Animation historian Joe Adamson deems "A Wild Hare" as the first "official" Bugs Bunny short. The short was a huge success in theaters and was nominated for an Academy Award for Best Animated Short Film.